Right and left right paragraph margin (justify). Number of pages at least 8 pages and maximum 15 pages. TITLEshould be specific, clear, concise, informative, describe the substance or content of writing and interesting to read (title no more than 20 words in Indonesian article or 15 words in English article with Arial font 14). The author's namemust be complete without a title (Multiple authors must be separated by a comma (,). 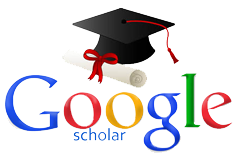 AFFILIATIONThe author is provided with the name of the institution (study program, faculty, university and email address with Times New Roman 11). ABSTRACT (UK) and ABSTRAK (Indonesian). Use Times New Roman 12for abstract or abstract words, while abstract or abstract contents use Times New Roman 10. Abstract English is placed first for manuscripts written in Indonesian, followed by abstracts in Indonesian or vice versa for manuscripts written in English. The abstract contains the subject matter, objectives, methods, results, and conclusions of the study / study. The abstract is written continuously in one paragraph, without reference, without acronyms, and without footnote. Abstracts are written not in mathematical form, questions, and conjectures. Abstract is not a copy-paste result of a sentence in the script. The abstract contains research results and written not more than 200 words in English and 250 words in Indonesian. KEYWORDS(English) and Keyword (Indonesia) while the contents of keywords (Times New Roman 10) at least 3 words in accordance with the variables. INTRODUCTIONcontains background, theory and goal studies (Times New Roman 12 and maximum 6 pages). DISCUSSIONcan contain processes, results of studies, tables, drawings, diagrams, graphs, sketches, and so on. The results are not raw data, but are raw data processed from the study / research. The discussion is the comparison of results obtained with the existing theory in the literature review (Times New Roman 12and maximum 6 pages). CONCLUSIONis an overview of the research that has been done (Times New Roman 12 and 1 page). American Psycological Association (APA). of the work’s authorship and initial publication in this journal.